I took some photos back on the 30th of August and am just having a chance to post now. 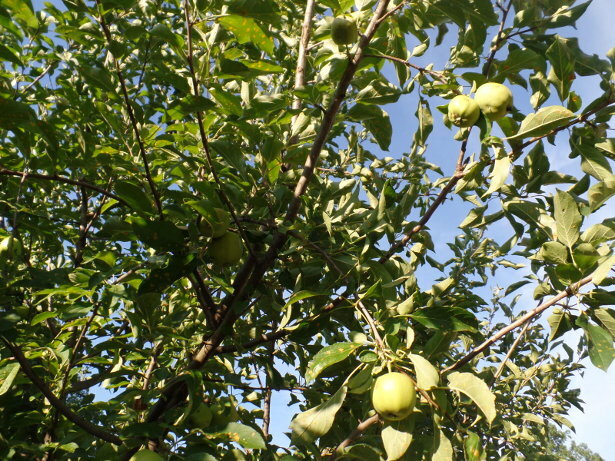 This year – our Granny Smith apple tree seemed to be ‘loaded’ with little apples. I was hoping that they were going to get larger, but they never did. 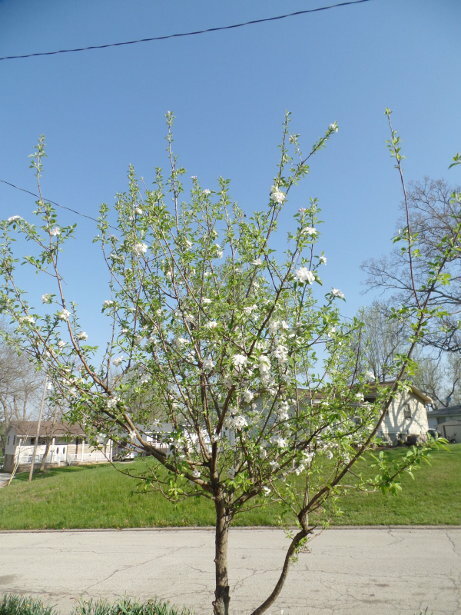 That makes sense though – because the apple tree that I bought was put on a “semi-dwarf” rootstock. That means that they took the main plant when it was growing and spliced it in with a root that was small. That effectively limits the growth of the tree. That is good though – because there are power lines directly overhead the tree. And the semi-dwarf rootstock will allow for up to around 15 feet of growth. But the sad consequence is that we are going to have apples that are maybe half (or smaller) than the size of a regular apple. It is free fruit though! I picked about a dozen apples from the tree. Because I don’t spray or use any pesticides, some of them did have holes and chunks taken out of them. 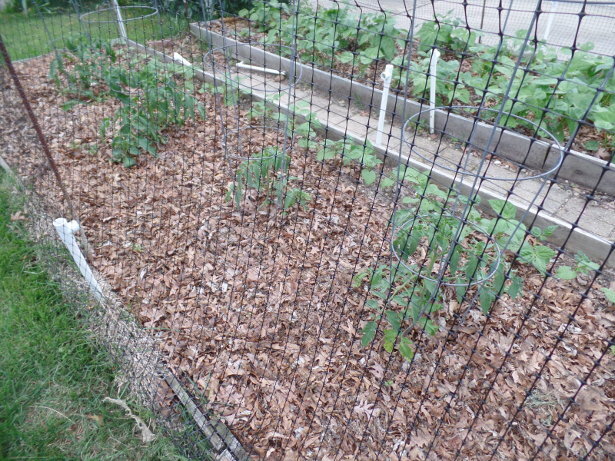 There isn’t much left of the garden – essentially only tomatoes and green beans. 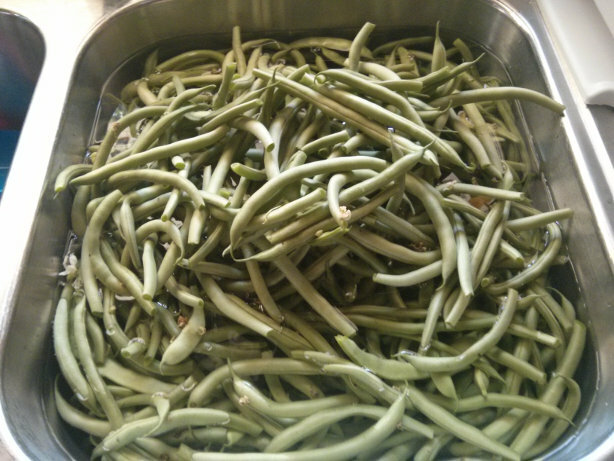 The green beans I have let loose – and they are now going to seed. This way I’ll have seed to plant next year without going to the store and buying it. 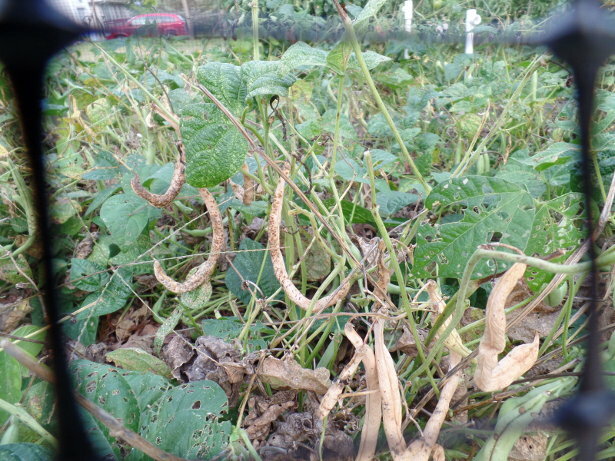 You can see that the pods are all turning brown and drying out – then I can open them and harvest the seeds. The four Best Boy tomato plants have done pretty good this year. Considering we haven’t had tomatoes for the past two years due to deer, it has been great. 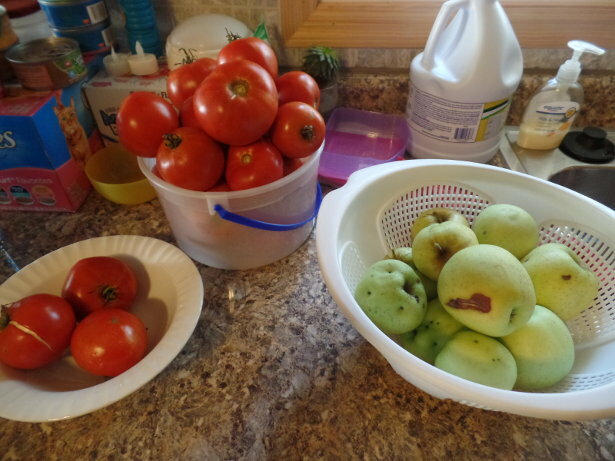 There are lots of green tomatoes on the plants and we’ve picked probably three or four dozen tomatoes so far. The weather significantly cooled off the past few weeks so I am not sure how many more tomatoes are going to fully ripen. The last picture is from the onions. 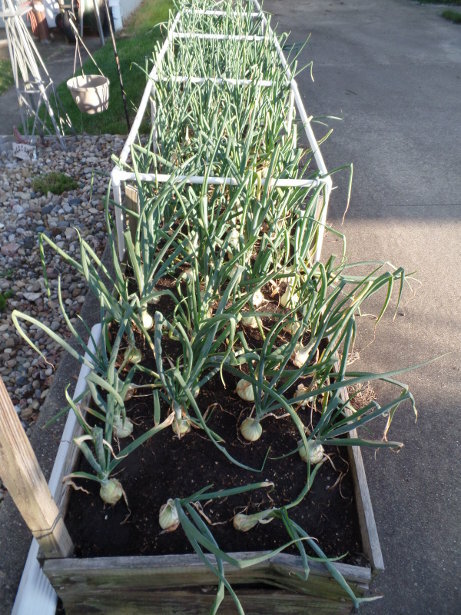 A couple weeks back, I spent a good amount of time cutting the tops off the onions outside. They have all been sitting on the outside table for several weeks to allow them to dry. So it was time to clean the table up. 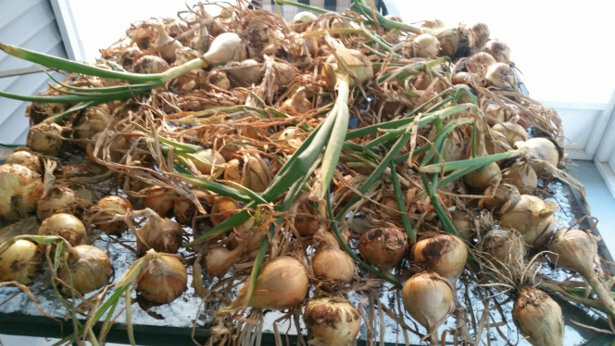 Overall, the Walla Walla Onions did very good this year with over 100+ harvested. A good handful were very large but the majority were smaller. Several weeks have passed since the last garden update. It seems that we’ve been getting busier with weekend activities. I took a few minutes on Tuesday to go out and get some pictures taken of the garden. 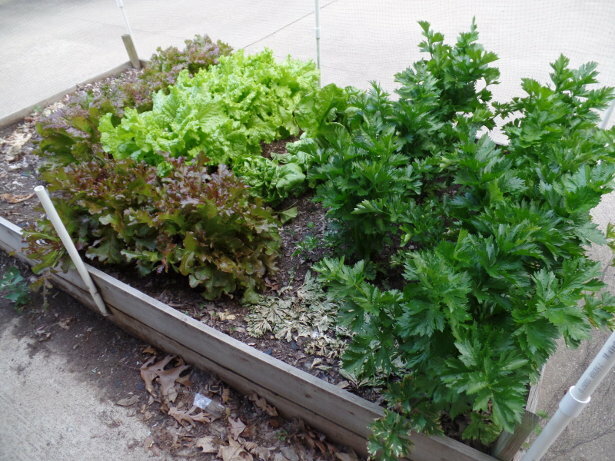 This has been a fantastic year for lettuce. 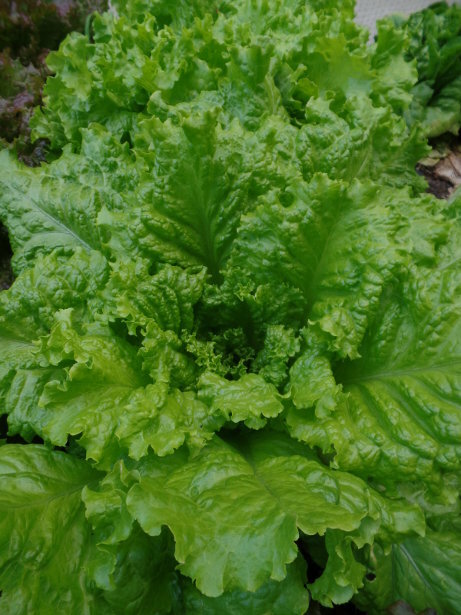 Usually by this time, the lettuce is bitter and bolting – which means it is no longer good to eat. But since it has been steady with temperatures in the high 60’s or through the 70’s, the lettuce is growing abundantly and is still good. I’ve been taking salads to work and also having chicken salads for dinner. Healthy and when you load it up with everything, it tastes good! 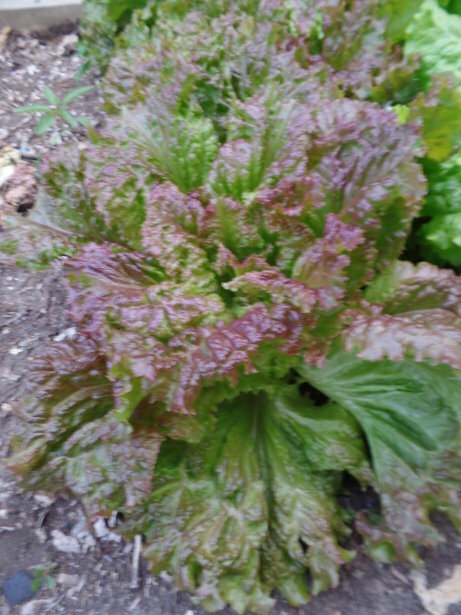 It had been a few years since I grew buttercrunch lettuce. Not too much of a fan of it. 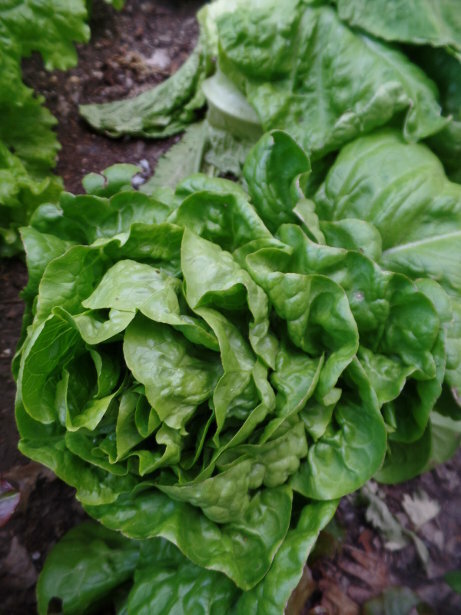 Compared to the other leaf lettuce varieties below, buttercrunch is not a good plant to take a few leaves and let it grow. In addition, one of the plants seemed to grow very rapidly and has already died. New Red Fire Lettuce is one of my favorites – maybe more so than Simpson Elite. It has nice coloration to it and seems to be one of the last to get bitter and bolt. 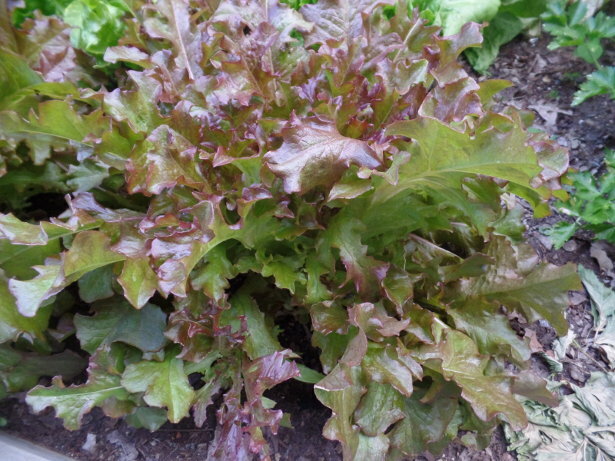 Red Salad Bowl lettuce is also a leaf lettuce – but the leaves are definitely different than the other two. 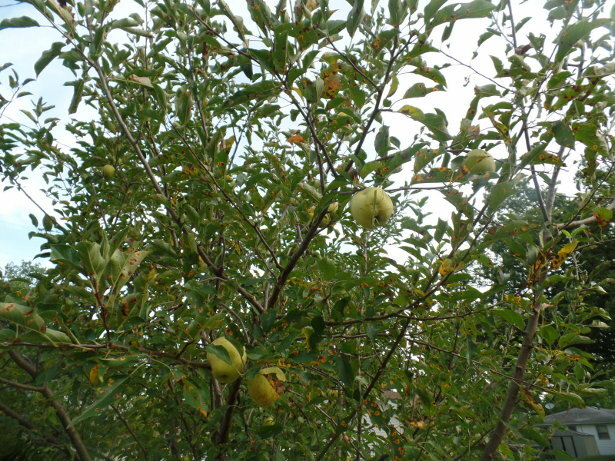 The other two varieties have large, fan-like leaves. Red Salad Bowl has leaves somewhat like a maple tree leaf. When I went to pick more lettuce yesterday evening, I noticed that the Red Salad Bowl lettuce appears to be getting bitter now and is starting to bolt underneath. So it doesn’t last as long. Simpson Elite is a great variety. Fully green in color but it does resist bolting and getting bitter. At least until temperatures get really hot. 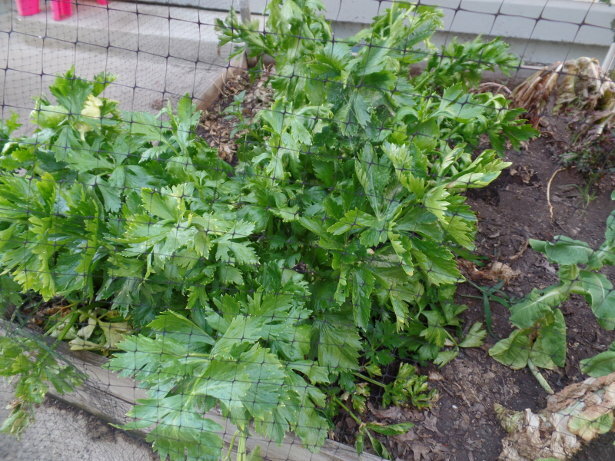 I harvested one of the Ventury Celery plants last week and cut it up. Put it in with the salads. I just used the last of the celery the other evening so I’ll need to harvest another. 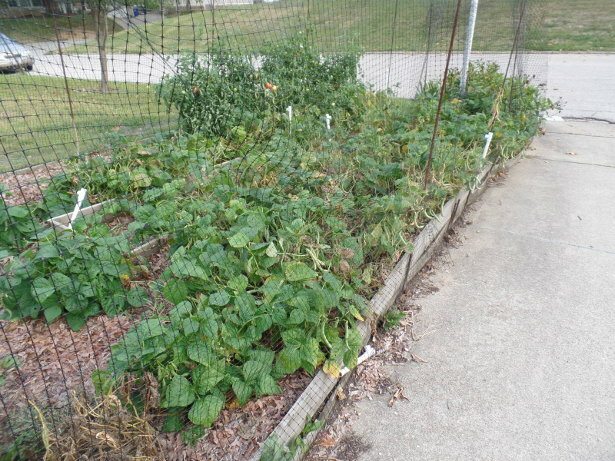 A total of eight were planted. When I arrived home from work last night, three of the celery plants were drooping over. 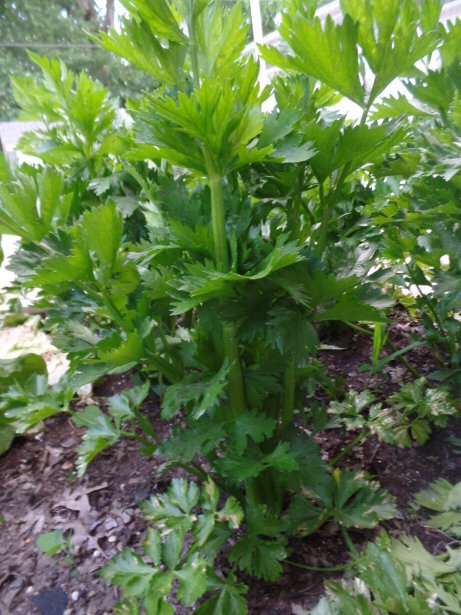 It got to around 80 – 82 degrees yesterday and I probably failed to water the plants lately – so that is a bad combination for celery. So right as I arrived home from work, I gave the celery, lettuce, and onions a good watering. 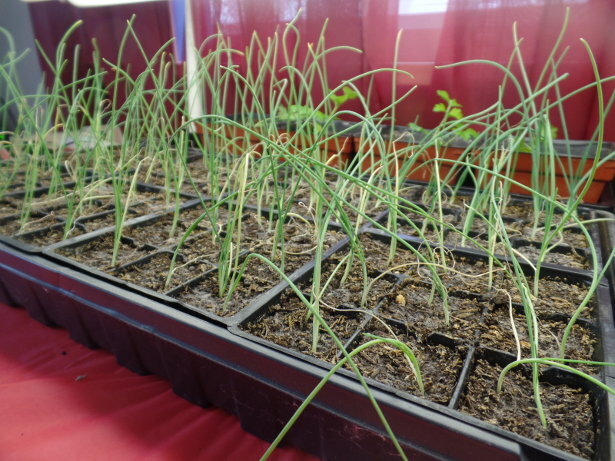 The onions are growing up. Those toward the back (picture below) are definitely further along than those in the front (picture above). What a difference a month made with planting them inside earlier than usual. The peas – remember in one of the last posts I mentioned that only a very small section of peas came up? Yep – and they are still growing. Not going to get many peas this year from this little spot. 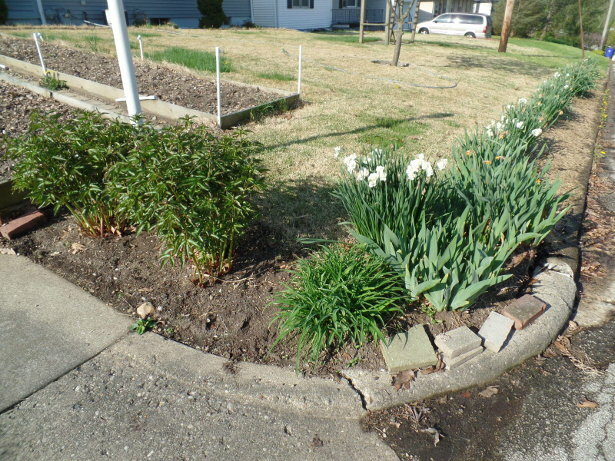 Amazing that all of them are right next to each other – not even one for the entire length of the garden bed. 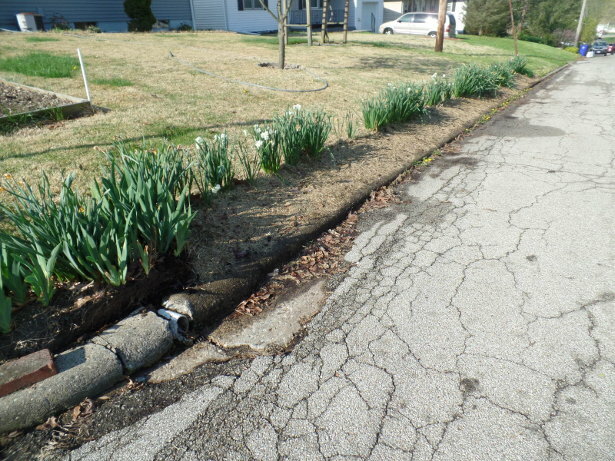 Moving to the front yard – remember how I re-shaped the area by the road? Originally it was used for potatoes but I decided to no longer do potatoes. Wasn’t worth the time and effort for the cost that you can buy potatoes in the store. Sure, the organic potatoes you produce yourself might taste a bit better and you know where they come from, but having boards up against the curb of the road definitely stood out in the neighborhood too. 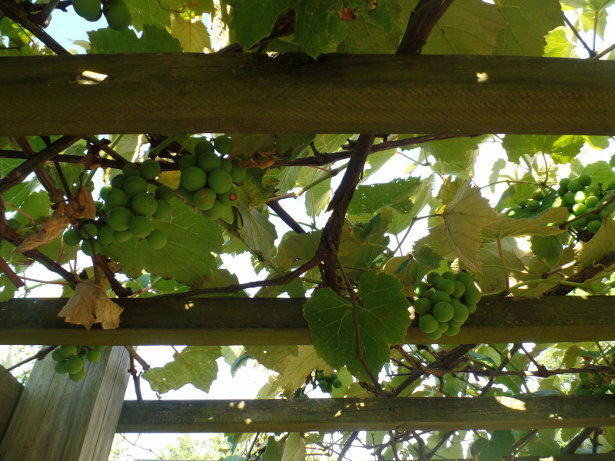 Well heck – I stand out in the neighborhood with the grape arbor and garden in the front yard still. 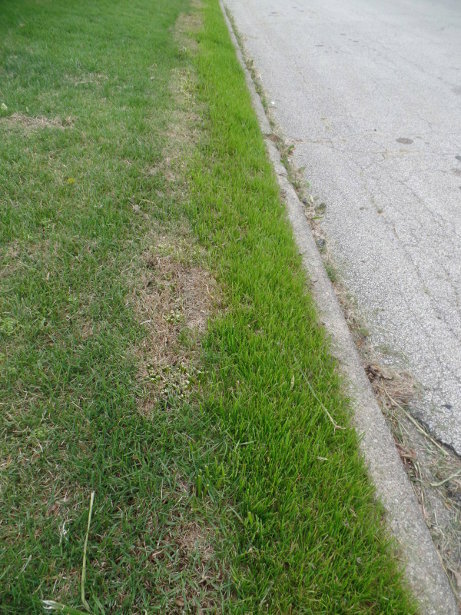 Anyways, the grass is all grown up and doing very well. This was also a great year for getting grass seed to start with the temperatures and rain that was fairly steady. 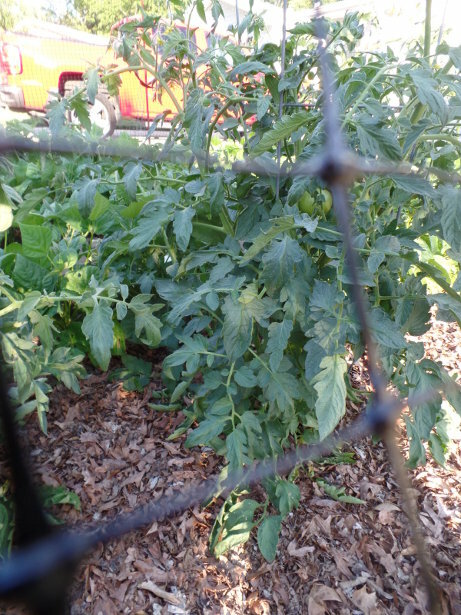 Tomato plants – unfortunately it looks like I’ve lost two tomato plants. The two plants that were transplanted inside are the ones that didn’t make it. One is completely gone and the other is very stunted and doesn’t seem to be growing much. That is all for this garden update! Well, I am a week late again with posting this! 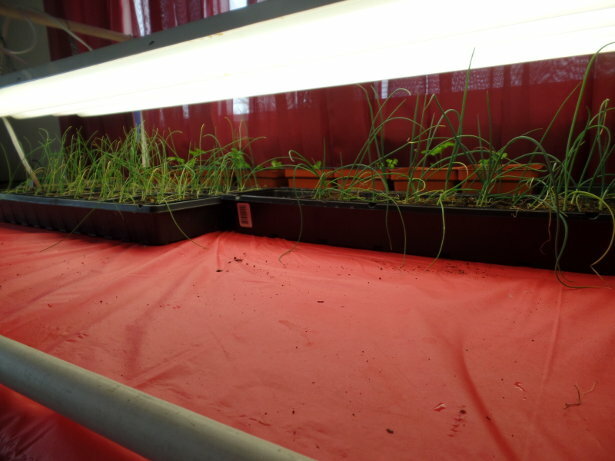 Pictures were taken on April 24th (well, a week and a half) and just as the last post, there has been significant growth in the lettuce and celery since the photos were taken. Just getting very busy and haven’t had much time to make posts on time. Let’s jump in to the garden! Lettuce and celery as they were a week and a half ago. And actually, we might be able to start picking leaves of lettuce off this week since they have at least doubled in size again. 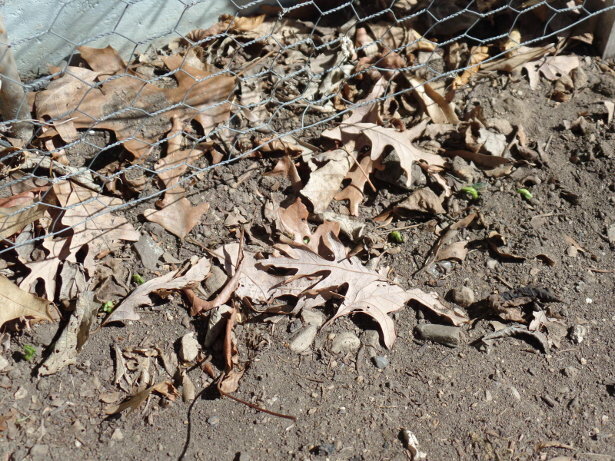 And the front garden – I put up the heavy duty deer netting that is thicker than the prior netting. The prior netting would get rips in it – so hopefully this stuff won’t. I also used rebar from taking the garden behind the garage down and am using the rebar for the posts/supports now instead of wood. 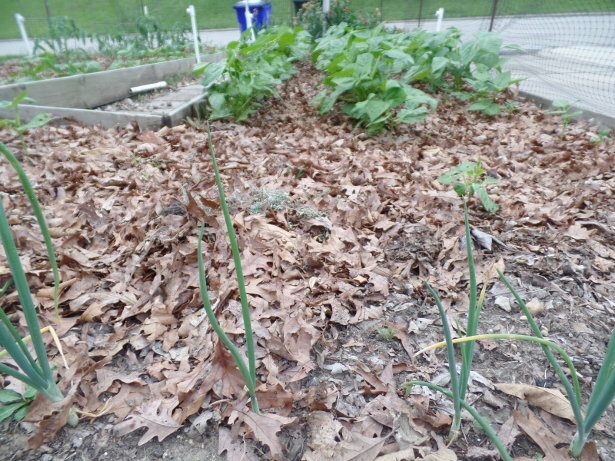 The front garden doesn’t show much of anything – although there are three rows of green beans that are now up and sprouted. 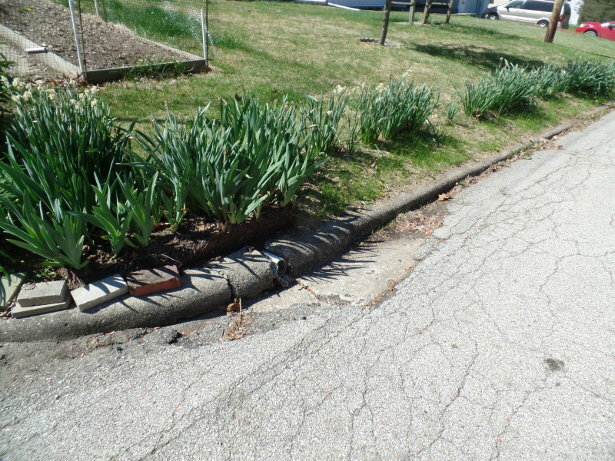 I need to get a few spots filled in where the seeds didn’t germinate – and potentially another row on the other side of the front garden. 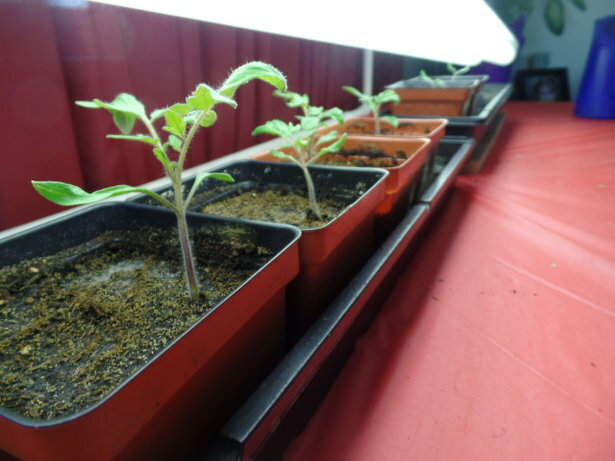 Inside – the tomato plants are doing well. 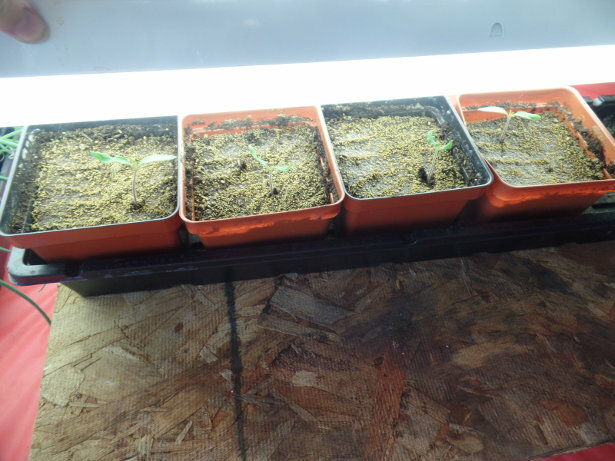 Two of them were ‘transplanted’ to their own containers since two seeds came up together (making a total of six). 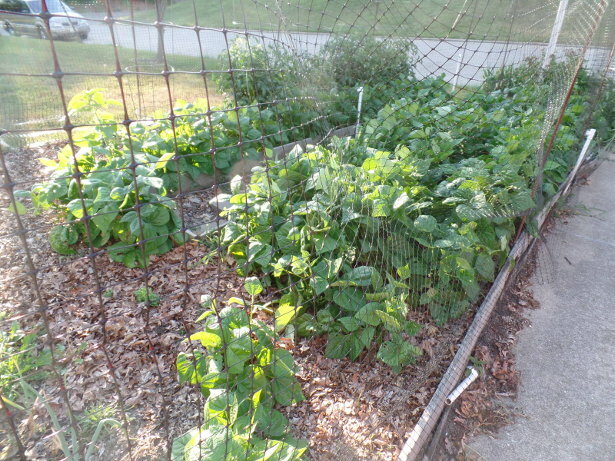 Back outside – the peas! 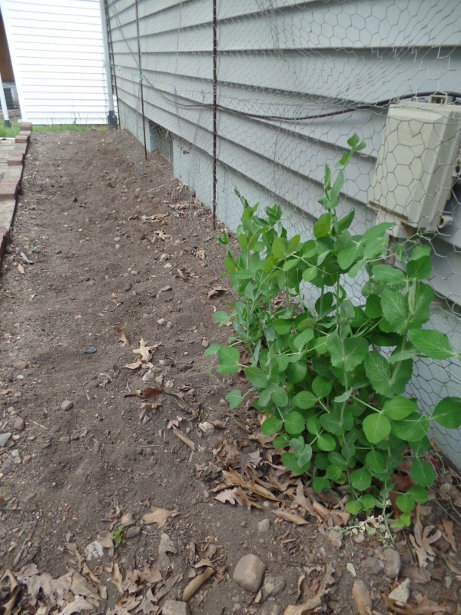 I planted a row of peas beside the house and last week, some started to sprout as seen below. However….. something is really odd here. About all of the seeds closest to the patio area (closest to the lettuce bed) sprouted. But, NONE of the others did. So only about one foot of the 13 feet of peas sprouted. Pretty well useless. Now, the most of the work was dealing with the onions. 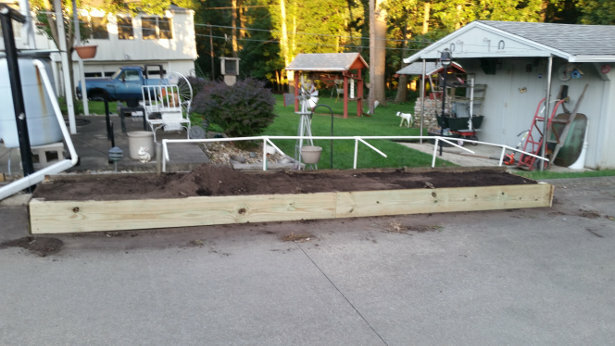 Previously, I was filling the other raised bed on the driveway to get it filled back up – as about half of the soil eroded. 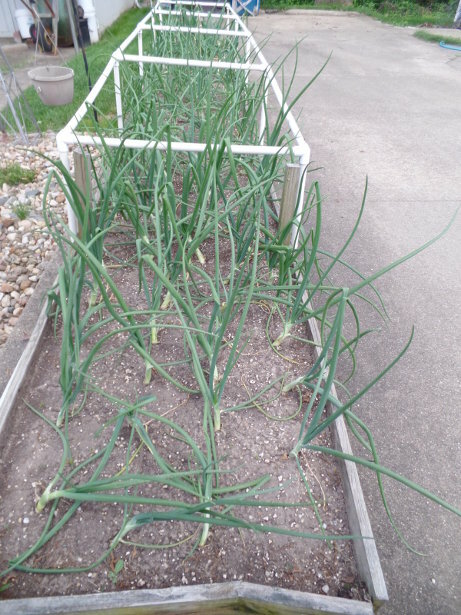 I filled it enough about a month ago to plant some onions and then stopped. 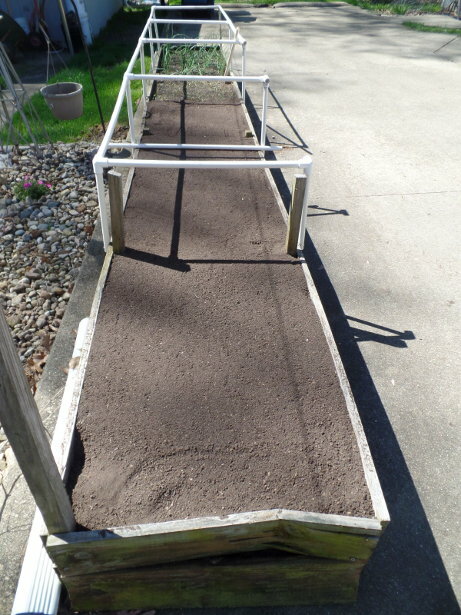 So that weekend before the 24th of April, I finished screening all of the soil and got it filled up. 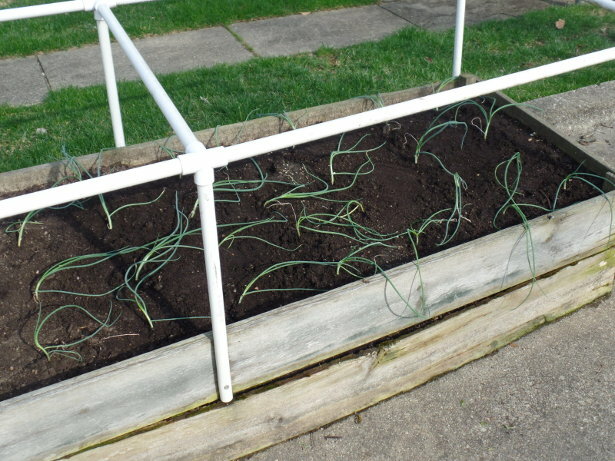 After over an hour, I finally got all of the onions planted – and had to also plant about 20 in the front garden. 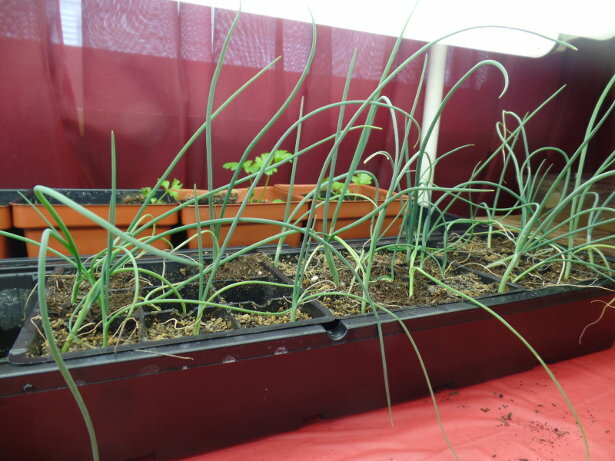 Well, that is all for the garden update for this week… or should I say for last week! I didn’t make a post last week since I was out of town traveling for a bit. But, I got back last weekend and we had some fairly nice weather! Looked at the ten day weather report and there isn’t any days where it was under freezing – so I thought – let’s get the garden planted! 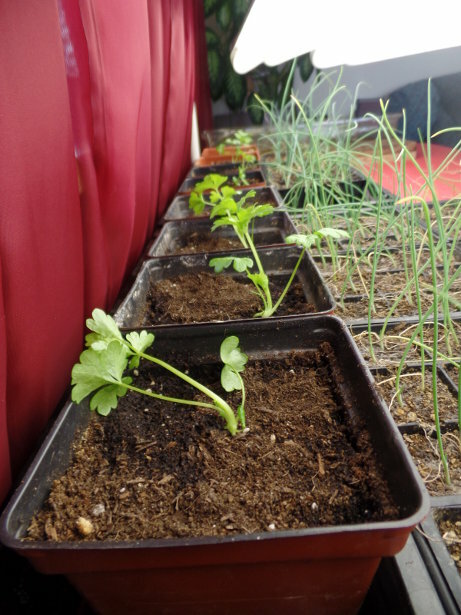 On Sunday, I took all of the celery and lettuce and transplanted them outside along with the onions that were initially planted. 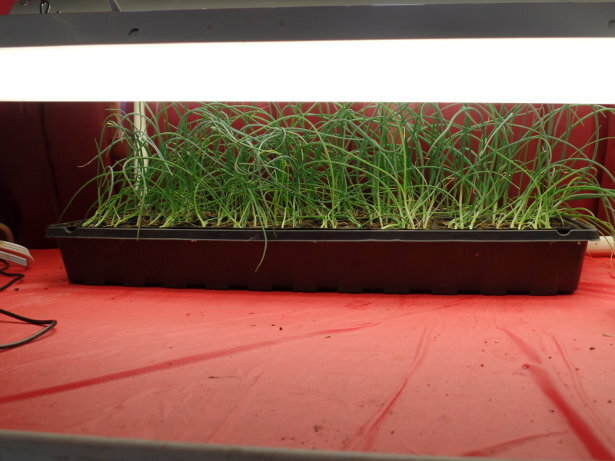 The second planting of onions are still inside under the germination station. 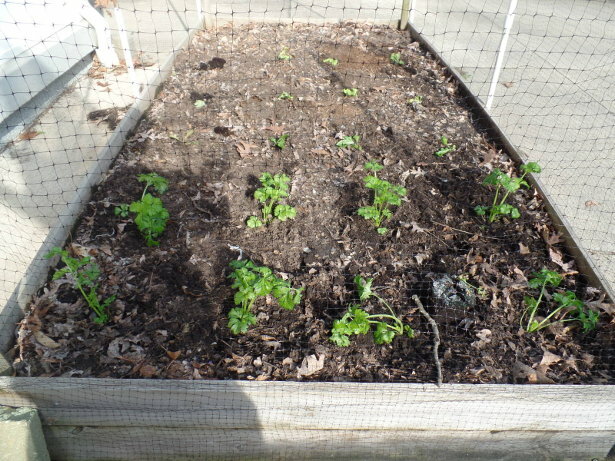 The celery was planted about a foot apart from one another in the raised bed by the back porch. 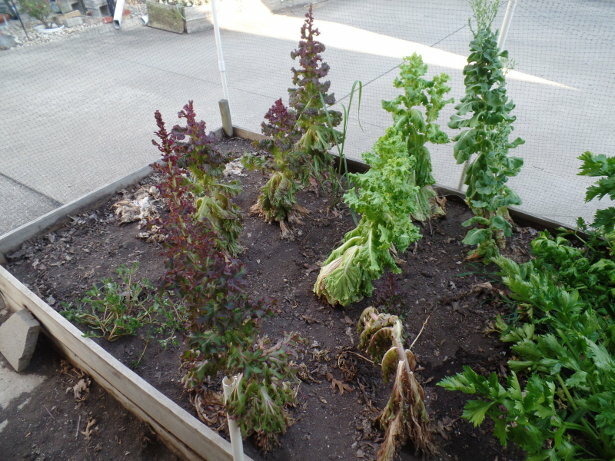 Same with all of the lettuce, which can also be seen above and also below. 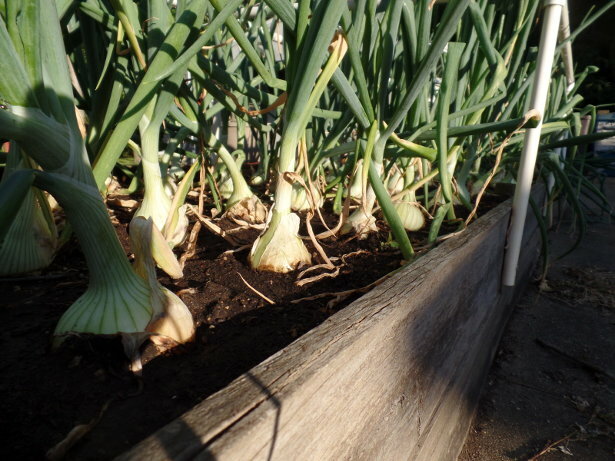 The onions were planted in the raised bed on the back driveway (close to the bed above). 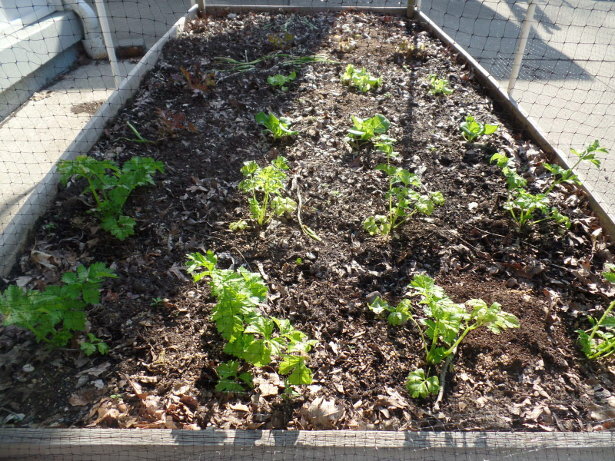 Usually, carrots are planted in this raised bed. I have slowly been doing some ‘renourishment’ of the bed because over time, the soil has eroded away and is down about half the height. 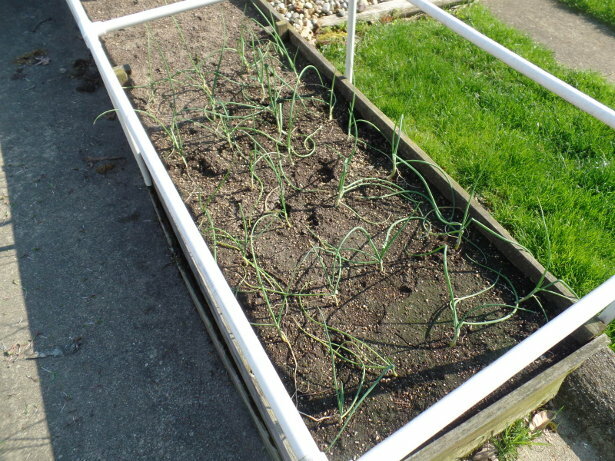 The bed was made to be a foot deep – which was good for carrots. 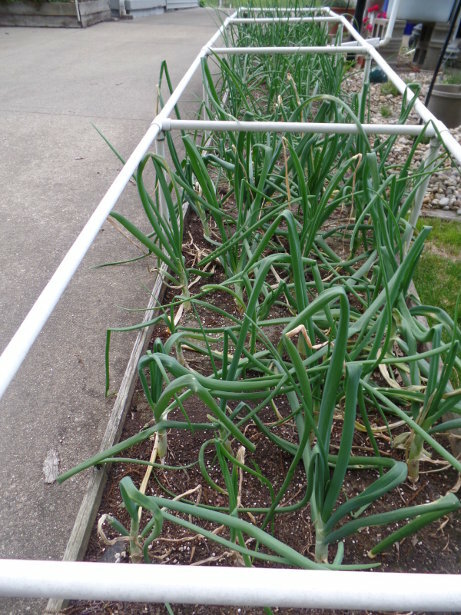 I used the re-nourished area to plant the onions – but as you can see, it has already settled a bit. About a month ago is when I had sifted through and filled in the area to the top and it looks to be down about an inch already. Shortly after the picture was taken, I got started with planting the tomatoes. Usually I do one container of Red Cherry Tomatoes, a few of Roma Tomatoes, and four or more of Best Boy Tomatoes. This year, as I have been doing with everything else, that was cut back quite a bit. I planted two seeds each of Best Boy Tomatoes in four containers. The front garden may be looking pretty bare this year. I have at least two gallon-sized bags of peppers from last year – so I don’t intend to put out any peppers this year. 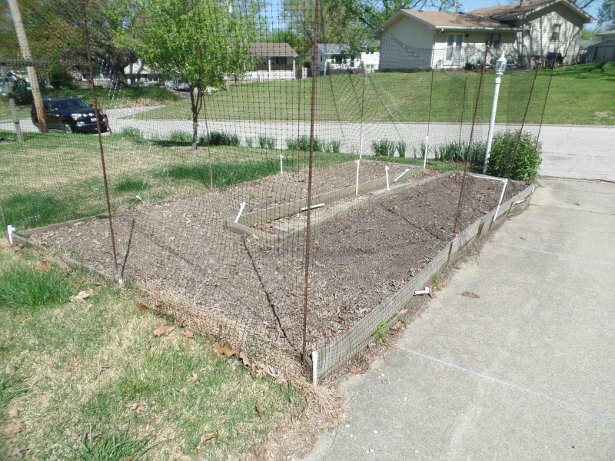 I am hoping that some new fencing will keep the deer completely out this year – and I’ll do a whole side of the front garden with green beans. That is what is going on this week! It has been a couple of weeks since the last post. 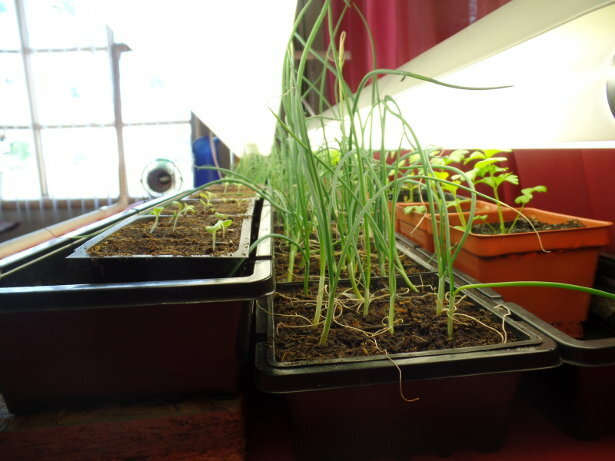 There hasn’t been anything much to post about – other than the plants growing steadily. 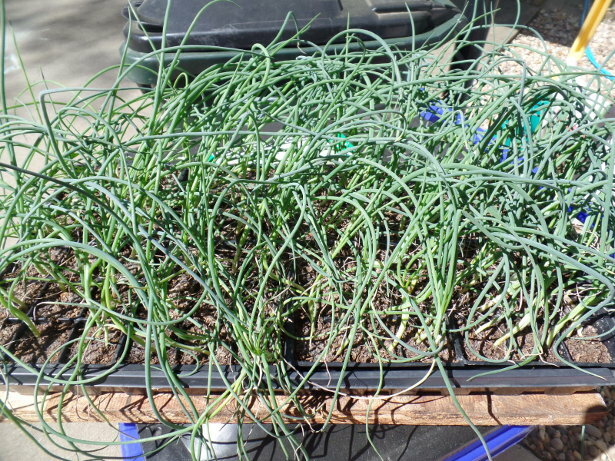 This weekend, I did some combining of the older Walla Walla onion seedlings. 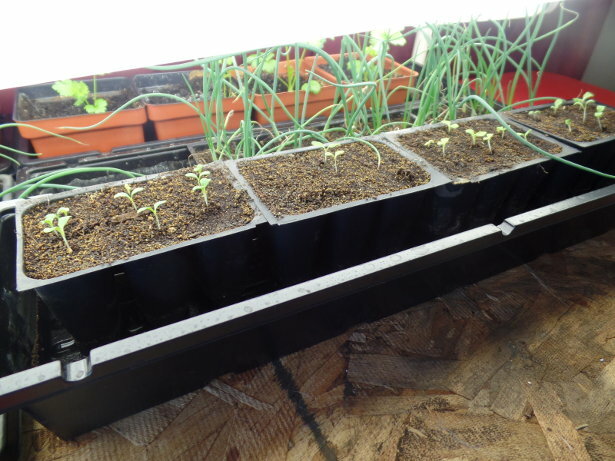 Because over 75% of them perished due to damping off, they were taking up a whole row under the germination station – prime real estate for planting! 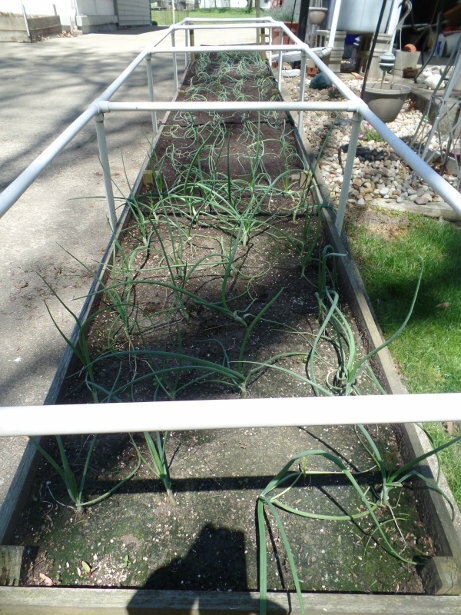 Out of almost 150 original onions planted, about 35 are left. Amazing what the damping off fungus can do! What do you see behind the picture in the back? Why yes, it is the Ventura Celery! The celery seedlings were separated a couple weeks ago. I planted four seeds in each of the containers. Upon closer inspection, every single one of those 16 seeds germinated, although a couple of them were ‘runts’ and didn’t really grow. 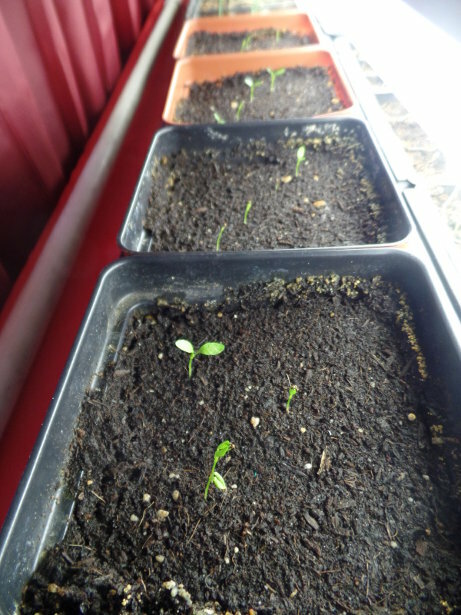 Amazingly enough, the seedlings that I transplanted to four new containers are doing better than the original ones that I left untouched! Not sure how that is possible but it is going very well! 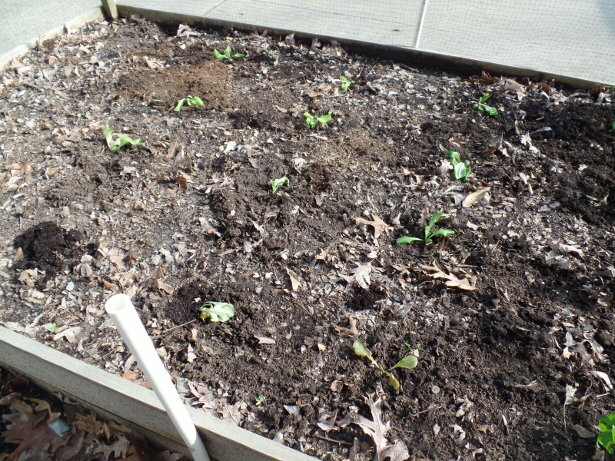 Lastly, this weekend, it was time to plant some lettuce. I didn’t take a picture of this (since it would just be seeding cells with soil in them). 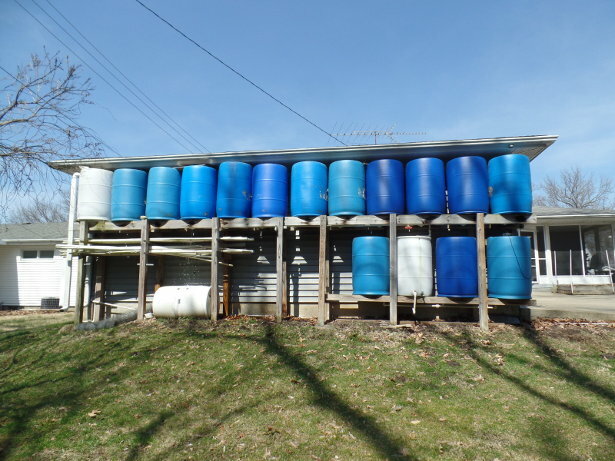 But, I used four 3-cell containers. 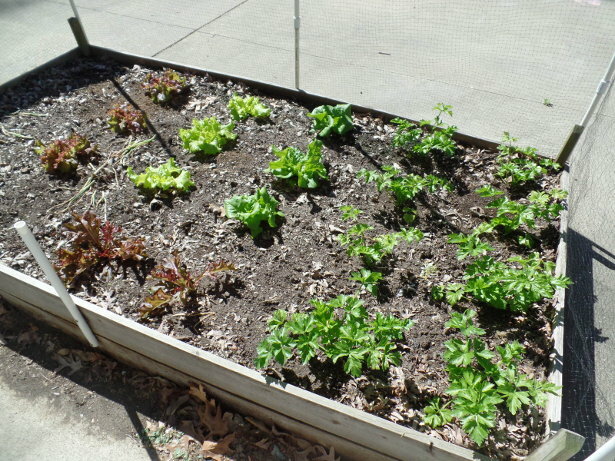 In each, I planted 12 seeds each of Buttercrunch Lettuce, Simpson Elite Lettuce, New Red Fire Lettuce, and Red Salad Bowl lettuce. That makes for a great combination of different colors and somewhat different textures for salads when they start producing. 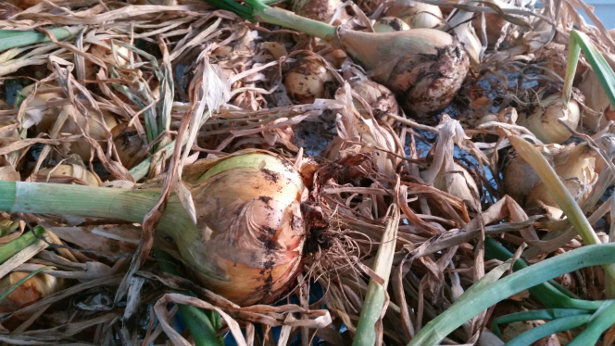 Success With Walla Walla Onions! 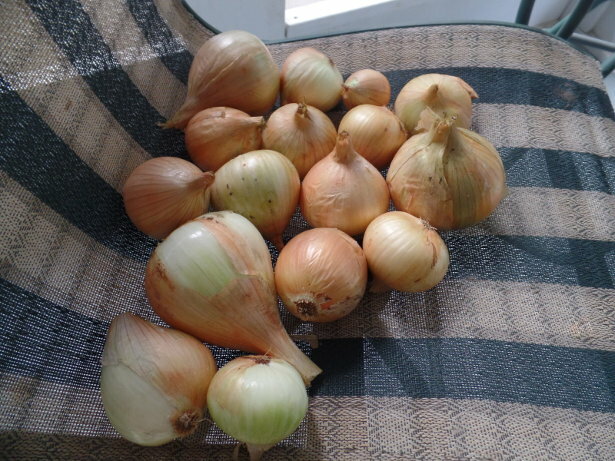 Great success with the second batch of Walla Walla onions! Amazing germation rate from the package of seeds I purchased off a seller on eBay. 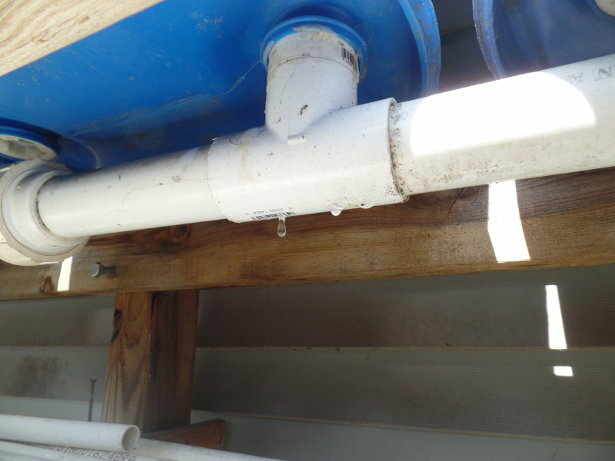 The first batch started out fantastic – but most died off because of the damping off fungus. 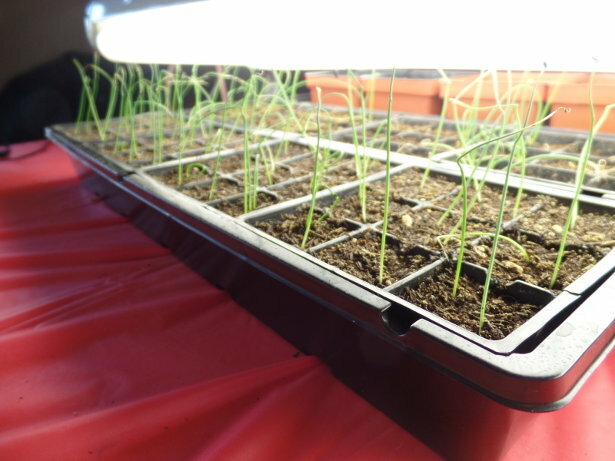 As noted in one of the prior posts, I saturated the tray with water at the bottom to keep the soil good and wet for the seeds to sprout. 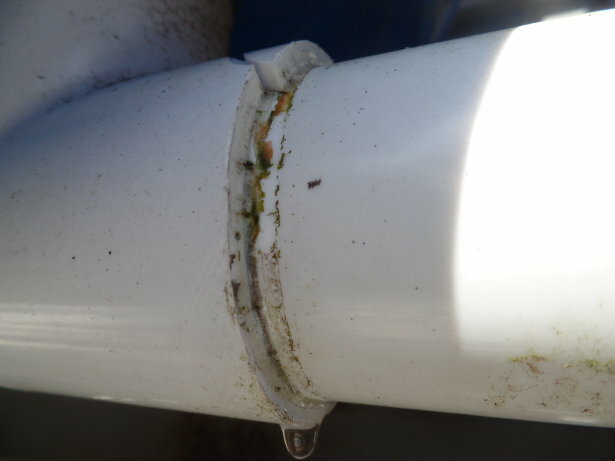 Well, that caused the damping off fungus to grow and take over. 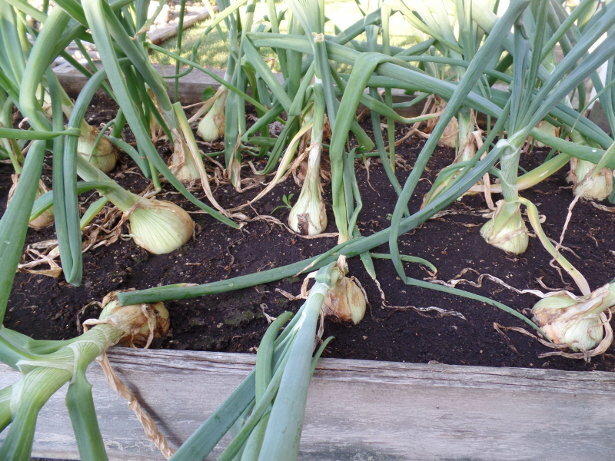 With the new batch of Walla Walla onions, I put about half of the amount of water in the trays – just enough so the soil was saturated and nothing was left in the bottom of the tray. In addition, my small Dollar General fan provides a nice breeze to the plants when the lights are on (all on a timer). With using less water and the constant breeze to dry out the top, damping off wasn’t a problem this time! The two photos below were taken on the 20th of February. They are doing very well for being about a week past their germination date. 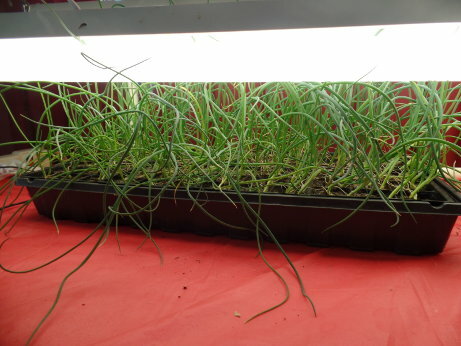 The photo below shows the “old” onion seedlings on the left side. You can see that there are very few left. 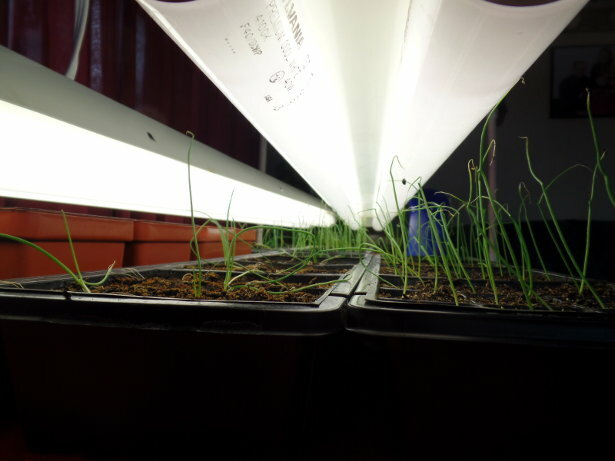 On the right side are the “new” onion seedlines – all doing very well and growing strong. How about the Ventura celery? It is doing good too! In the prior post, I had mentioned that the celery had great germination. I planted four containers with four seeds each (16 seeds total). Upon counting, 13 (or 14) of those 16 germinated. 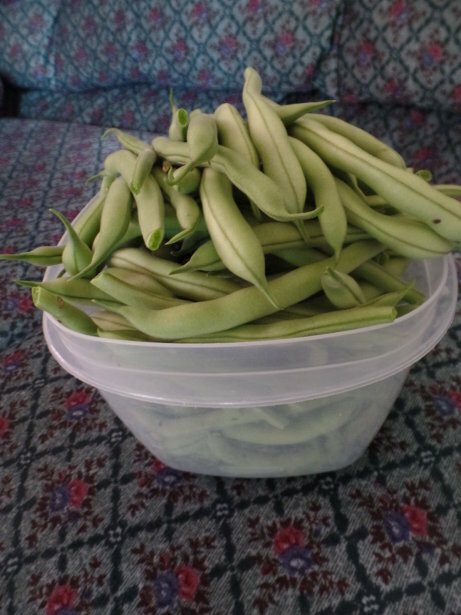 Not bad for seed that was stored in the freezer from 2010! Storing seeds in the freezer is a great way to ensure your seeds stay viable for much longer. Be careful to put seeds in a place where they won’t be disturbed very much. I keep mine at the bottom of the freezer in a ziplock bag. When I a ready to use them, I will be as quick as possible with opening the ziplock bag, pull out only the seeds needed, and put them back in the freezer. 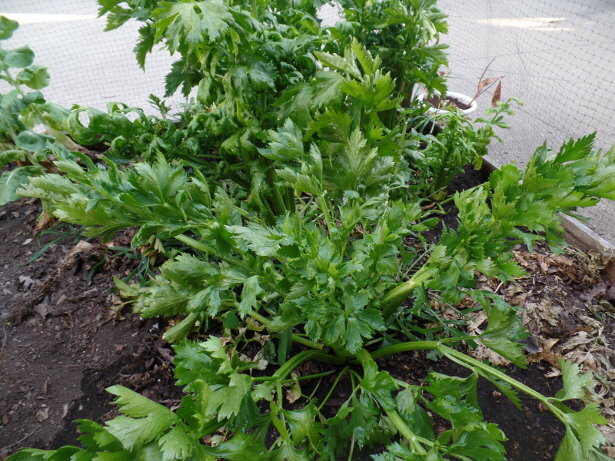 So the Ventura celery are growing well. I really dislike thinning out seedlings because I feel it is a waste, but you also have to ensure you plant enough to get at least one good sprout! Off to a good start with the seeds now! Still.. just am not sure what to do with the garden and how to keep the deer and other critters out. 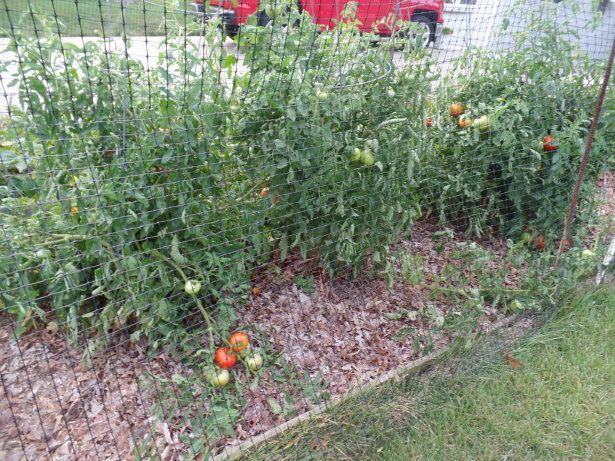 It has been a major disappointment the past few years with the wildlife damaging tomatoes, green beans, and others.